Yesterday the Times of India reported that India has further slipped down to 117th position in the world happiness index. The article explains what goes into calculating the happiness index of a country. Truth be told, all of that went over my head. I have a simple method of figuring how happy a person is. It’s not as technical at the world happiness index, but it has been working for me for quite a while now. It goes like this. Assume that you have reached the end of your work life and tomorrow is the first day of retirement. Take a pen and paper and write down at least ten things that you are going to do starting tomorrow morning. They can be anything – travel, a hobby, learn a musical instrument, do social work, ride a motorcycle, camp, photography, anything that will put a smile on your face. Once you are done, go though the list and strike out all the things that you are doing today, even if you are doing them partially. The number of strikes is the measure of your happiness today. It’s really that simple. Ideally you should love doing whatever it is you do for a living. But even if you have a job that bores you to death, you can still be happy. You just need to make the time to do the things that you haven’t struck off the list. Some of you will say, “But I can’t find the time“. Here is the thing. Time isn’t found. It’s made. Let me give you my own example. I love riding motorcycles and weekends are the best time for that. But on weekends my family takes preference. I want to spend as much time I can get with my boys before they grow up, go off to college and out of my life. So how do I make the time to ride motorcycles? I wake up early every morning and ride my motorcycle for at least a couple of hours roaming around the beautiful countryside clicking pictures, which happens to be another thing that puts a smile on my face. And come to think of it, I’ve never been a morning person. I used to work late nights and as a result, wake up late in the morning just in time to grab a quick breakfast and head to work. I switched things around a bit. 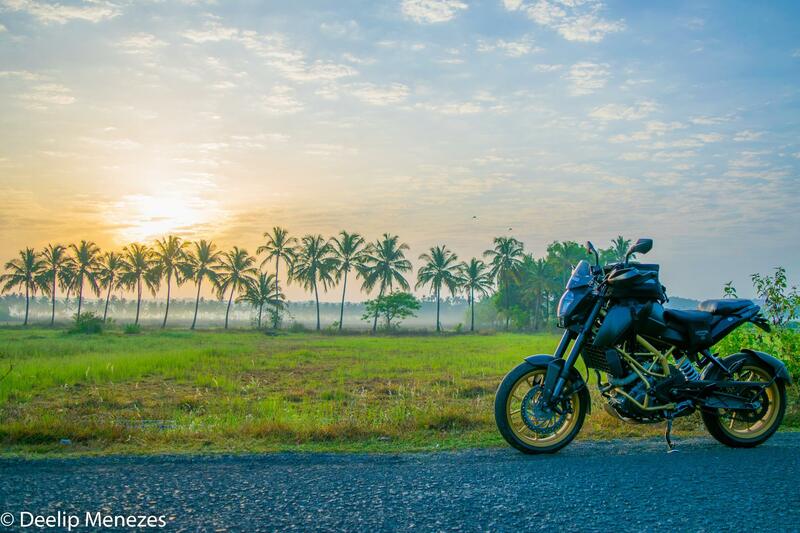 I have now started sleeping earlier and I’m up by 6 am ready to twist the throttle and enjoy the sun rise from the seat of my motorcycle. So go on, fetch a pen and paper and figure out how happy you are. If you find that you haven’t scratched enough items on your list then maybe its time to do something about it. Don’t wait for retirement to start doing the things you love doing. Go buy that motorcycle, buy that guitar, buy that tent, buy that camera. Do whatever it is that makes you happy. And start doing it now. You don’t need to quit your high paying job so that you can strike more items off that list. You don’t need to let your boring job frustrate and demoralize you. All you need to do is get creative with your time and resources, that’s all.